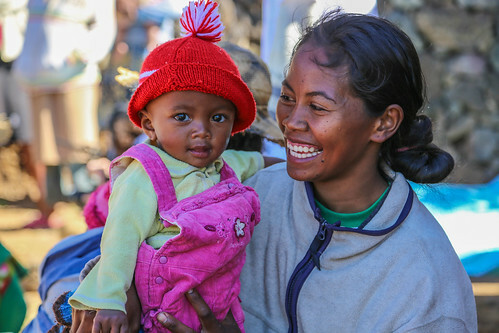 A young mother and her baby visit the local nutrition center in rural Madagascar to participate in a discussion around children's nutrition and learn new cooking recipes that promote a varied diet. P149323. Photo: Mohamad Al-Arief/The World Bank.